The uncomplicated, honest design of Primus sterilizers and our use of non-proprietary parts are major factors to our success in achieving a reliable and economical sterilizer. The most visible feature to identify a sterilizer as a Primus sterilizer is our brilliant reflective Pri-Mirror™ chamber interior. Photo illustrates two features that make Primus sterilizers superior. Three bands show differences in surface smoothness between Primus and its competitors. Bright band at left is the Pri-Mirror finish visibly smoother than the 25 µin. Ra polished finish (center) and the bead-blast (right). Also shown is the fully-jacketed construction which minimizes temperature stratification and reduces condensation. But beauty is more than skin-deep. Not all sterilizers are the same. 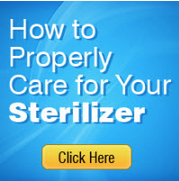 Selecting a sterilizer starts with defining your needs. 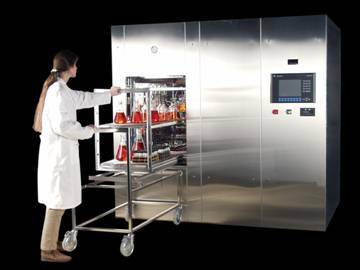 Primus helps in the process by determining how you'll use your autoclave, where will it be placed and what utility services are needed and available. Whether you already know what you need, or could use some assistance in determining what is best for you, we have someone ready to help.